If you’re like me, the changing seasons usually mean change in our roles. It’s time for me to trade my hats of “field trip chaperone”, “volleyball coach” and “track-meet cheerleader” for “fun wife”, “beach mom” and “VBS International Spy Academy Agent”. To make that switch and be mentally present for my guy and my lovelies, I’m taking a writing sabbatical for July and will post the “Best Of” articles based on reader responses. If you’ve read these already, you get the morning off. Or if you think they could encourage a friend, feel free to forward them on. If you are a new subscriber and haven’t read them (a special welcome to all the Mother/Daughter Retreat ladies – I hope you’ve dried out! ), then you’re coming in at the perfect time. You can enjoy all of the “goodies” right off the top. Happy reading! I was studying Proverbs 2 in preparation for teaching a series on wisdom. The first few verses outline our human responsibilities for the pursuit of wisdom and all of them made sense to me but one. I understood what it looks like for us to receive wisdom, treasure it, and train our ears to listen for it. I could fathom how we could call out and ask for it and search for it like treasure. But…. to incline my heart to wisdom? “How do I make myself inclined toward something?” I thought. To be inclined to something means I feel favorably disposed towards it, or it’s something I tend to do. Aren’t my inclinations natural inclinations? Tendencies that simply are the way they are? Natural bents that can’t be changed? If that was the case, this verb denoting action wouldn’t fall smack dab in the middle of a “to do” list. Yes, God begins to change our hearts when we are His, but our context tells us that He is not the one called upon to act here. This was clearly a human action point I was looking at but I couldn’t discern what my responsibility looked like on a practical level. Then one night while making my husband’s salad, it all made sense. Almost 20 years ago, I married a marvelous guy. Glen Surette has been a steady husband known by all for being gentle, loyal, sacrificing, honest, serving, supportive, good & kind. A big teddy bear he has often been called. Teddy bear? Yes. And big? Also yes. 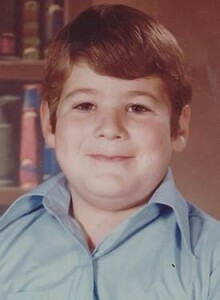 Glen was always a huskier kid physically but his sports involvement seemed to keep health issues at bay when he was younger. However, when the university and CJFL football stopped, those 20 years of not-so-great eating habits began to catch up with him. A couple years ago, the inevitable diagnosis of high blood pressure and Type 2 Diabetes came as a loud wake-up call. Knowing he wanted to be around to take care of his ladies and have many useful years for the Lord, he enlisted the help of a fantastic, natural, guy’s weight loss program in Toronto. 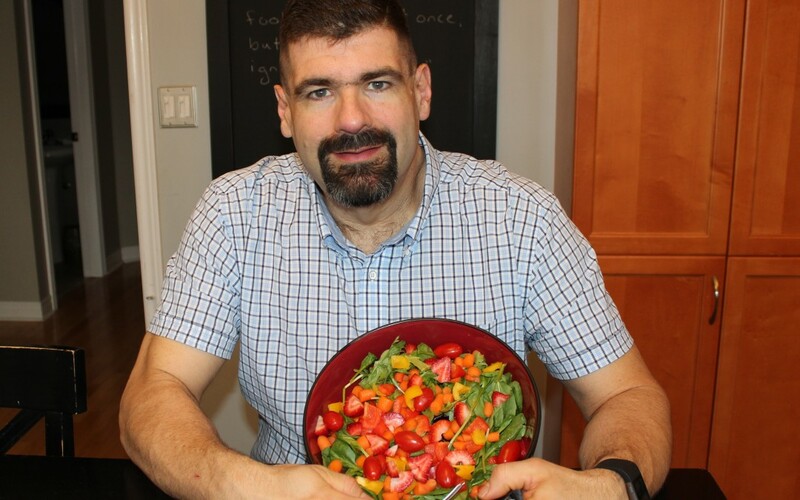 When Glen would have previously been inclined to reach for chips, Coke, McDonald’s or pizza, he trekked off to work with a cooler full of veggies, lean meats, good grains & salad. Now let me tell you a bit about Glen’s journey with salads. Glen went from barely eating salad – ever. To gladly eating one a day. To requesting a salad the size of one I make for our family plus company – for lunch and dinner! 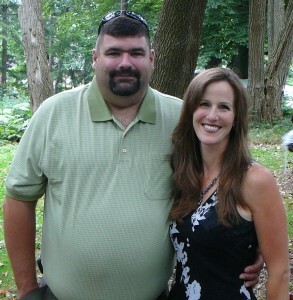 Starting his journey in November, 2013 at 378 lbs with sleep apnea, diabetes, gout & high blood pressure, he landed this last week at 262.5, having lost 115.5 lbs. He’s been officially pronounced non-diabetic with low blood pressure, no sleep apnea and no gout. 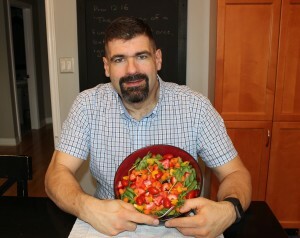 Here’s my healthy, hunky salad connoisseur! So what happened to change 44 years of natural inclinations to the point where he is now the healthiest eater in the house who recoils at the sugar I put in my coffee? Repetitive exposure to foods nutritious and life-giving altered his natural inclinations to the point where he has become favorably disposed to good food and tends to reach for those instead of the unhealthy options he used to crave. There was my answer to the “inclining my heart” dilemma! Like Glen with nourishing food, if we will expose ourselves repeatedly to life-giving wisdom that nourishes our souls, that exposure and subsequent spiritual health can actually train and bend our will to be inclined to wisdom! This is great news if we find that we don’t crave wisdom as we should – It means we aren’t doomed to stay that way forever! If we will choose to set aside our surplus of spiritual junk food (TV, Social Media, shallow literature) and begin to consume spiritually nutritious options (Regular time in our Bibles, excellent books by wise authors, sermon podcasts), we will find our appetite for what is good begins to grow and we may just find our hearts inclined to lean in a new and healthier direction. What about you friend – How is your heart inclined? Fantastic as always, Janet! I love the way you make Proverbs make sense. And congrats to Glen! (I also appreciate his thoughtfulness above towards American spellings. 🙂 Well done, you two! Thanks Hannah. I’ve missed your posts but I suppose some other little priorities need your attention! 🙂 Enjoy the sweetness. Thank you for this! What a great picture of how God gently leads us to become the person He wants us to be. Sometimes it starts with a big hardship, like a medical diagnosis, to get our attention. He wants us to seek wisdom, and He knows what it’s going to take to get us there. Congratulations, Glen, on doing so well with your weight loss. I’ve been doing a bit of that lately, as I realized my weight was going up slowly but steadily. It takes a long time to do it, and it’s more comfortable to maintain than lose. You did it with endurance. Well done! After reading this several times since being posted, I believe I, too, now am ‘inclined’. After years of yo yo dieting, for all the wrong reasons, my health got to the “ah ha” moment as well. Diabetes, arthritic feet (possible surgery on one), and the inability to enjoy my family the way I want all scared me. I agree a big component to success is the repetitiveness. After a while, the temptations do leave. Reading your blog, following the taught wisdom has been so beneficial to my journey. Thank you for being transparent to us. I’m “inclined” to be glad God gave you to us and that your life pleases Him! My heart has been inclined toward sugar and away from vegetables my entire life. How encouraging to read that repeated exposure CAN change our desired! Amazing change Glen! Glad to hear that was encouraging Amy. A great quote by Ravi Zacharias: “Do not taste what you do not want an appetite for.” I believe the flip side is true – you can shape your cravings by what you repeatedly consume! You make it sound like you are only here for your family during July. Despite all of your commitments and tasks you are always present for your family. Hi Janet and Glen, I had the pleasure of meeting you both last year at a Harvey Brooker quick start meeting. So proud of your continued success Glen. I’ve no doubt that much of it is due to Janet’s phenomenal support. You are setting a great example for your family and friends. You are proving that everything is possible if you believe in yourself and trust others.